In accordance with AIRAH Best Practice Guidelines and AS/NZ 3666 HVAC systems should be inspected on a regular basis, and remediation conducted accordingly. Many Building and Facility managers have found the convenience and cost effectiveness with Ducted Air Solutions conducting routine inspections and supplying Hygiene Validation Reports. This provides timely information of system hygiene levels and may also identify mechanical issues before they become problematic breakdown issues. This is all achieved at minimal cost and allows peace of mind for the Managers. Under the BCA (Building Code of Australia), premises have different classifications according to building use, which in turn determines inspection intervals. 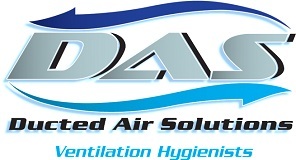 For assistance with HVAC maintenance queries, contact DAS today and talk with our specialist technicians.